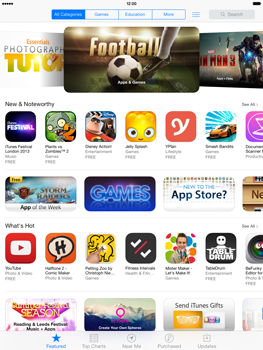 This is the start page of the App Store. 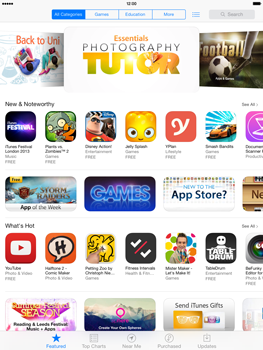 Recommended apps and special categories are displayed here, for example, New & Noteworthy, App of the week, New to the App Store, and What’s Hot. 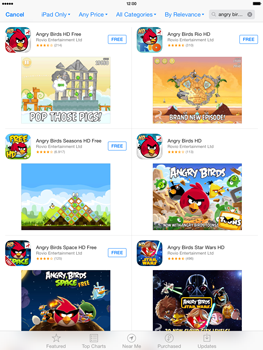 All app categories are displayed here. 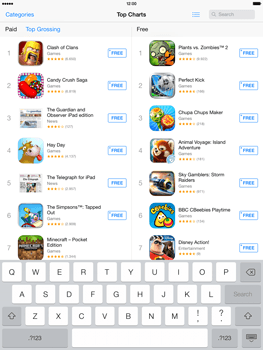 Under Paid, the top paid apps are displayed. 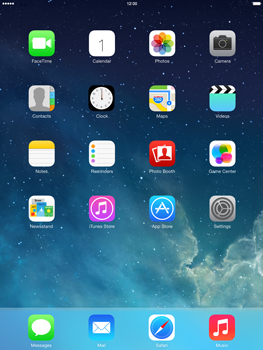 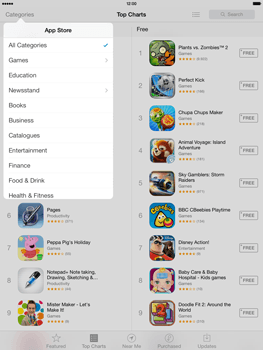 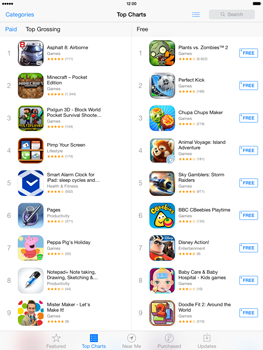 Under Free, the top free apps are displayed. 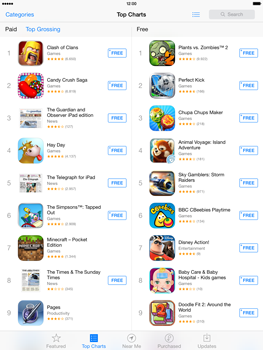 Under Top Grossing, the top grossing apps are displayed. 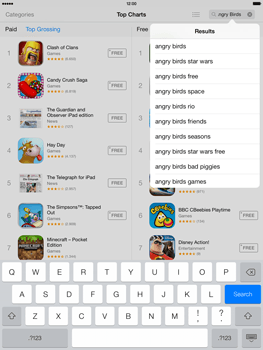 To search for an app, choose Search. 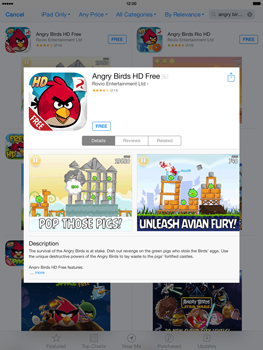 To download this (free) app, choose FREE.